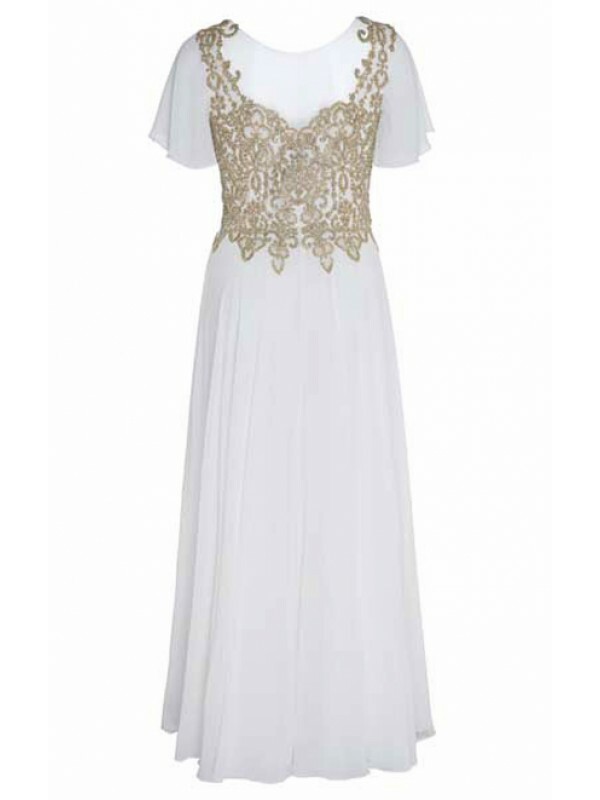 Make a spectacular entrance to any formal function in this gorgeous full length chiffon evening gown with gold lace bodice and flutter sleeves. 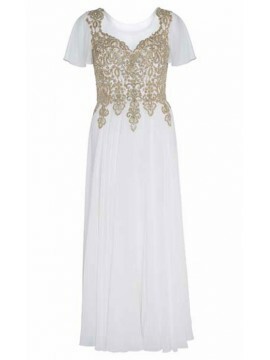 The sleeves are not lined but rather made from a delicate chiffon and fall loosely on the arm. 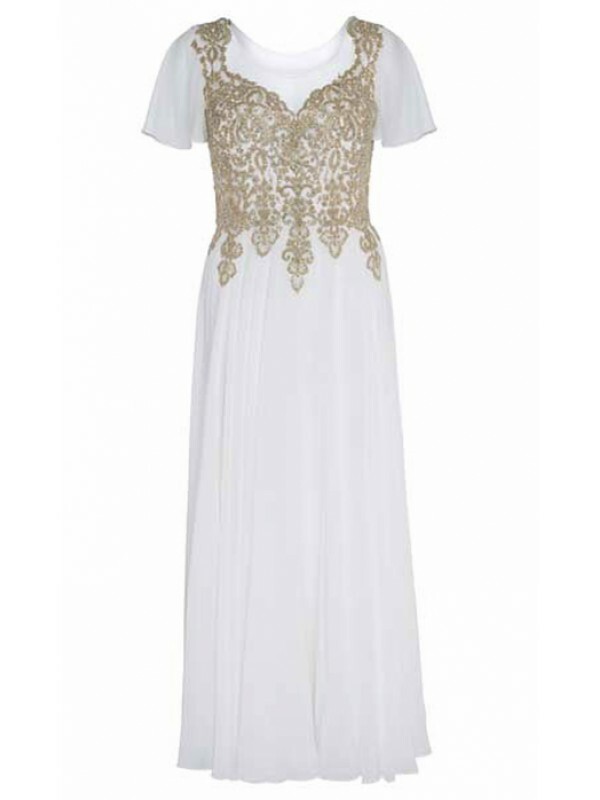 Made from high quality chiffon and lace, this dress is made for comfort as well as glamour!